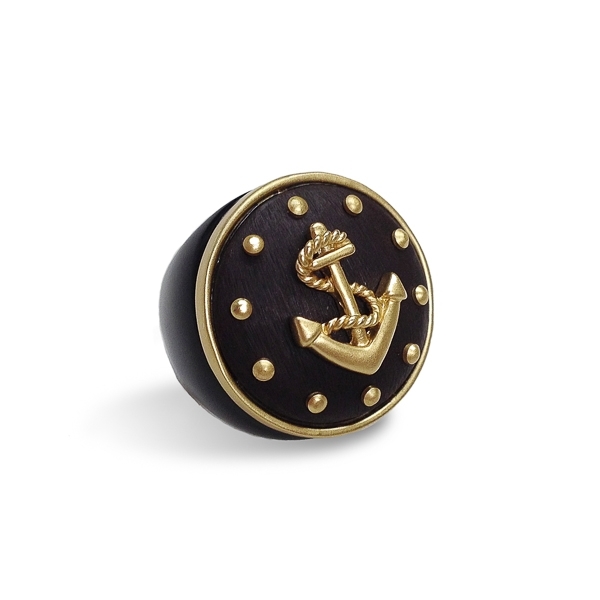 Description: Bold smooth molded resin stone body in dark brown holds an anchor plated in 14k gold. Solid yet light, she beautifully showcases this much favored symbol. Enter Quantity for R-AE035 to add to your shopping cart.